Samuel Eto’o’s agent made it clear days ago that his client would love the possibility of reuniting with his former boss Jose Mourinho with a move to Stamford Bridge. It’s clear for all that Chelsea’s top target is Wayne Rooney and with two weeks left for the transfer window to shut down, The Blues are in rush to bring in one top striker to add to the squad. Manchester United has made it clear in many ways that Rooney is not for sale, but the forward is unsettled at Old Trafford and if he submits a transfer request, they will have no choice but, to sell Rooney. Chelsea are waiting in the wings with an audacious £40m bid and according to Daily Mirror, they will move on to other targets in bid to bolster our striking unit. Jose Mourinho confirmed that statement before the Aston Villa game in his press conference by saying that Chelsea have ‘Plan B and Plan C’ if Rooney’s transfer doesn’t go through. Rumors say Robert Lewandowski is the Plan B if Rooney deal doesn’t go through but, Samuel Eto’o’s transfer won’t take days of negotiations as His club Anzi are prepared to sell if a right offer comes in. I would very much prefer Lewandowski as he is one of the best in Europe at the moment despite still being 24. But, Dortmund won’t be looking to sell the polish striker this summer and he has made clear his intentions of leaving for Bayern when his contract ends in 2014. 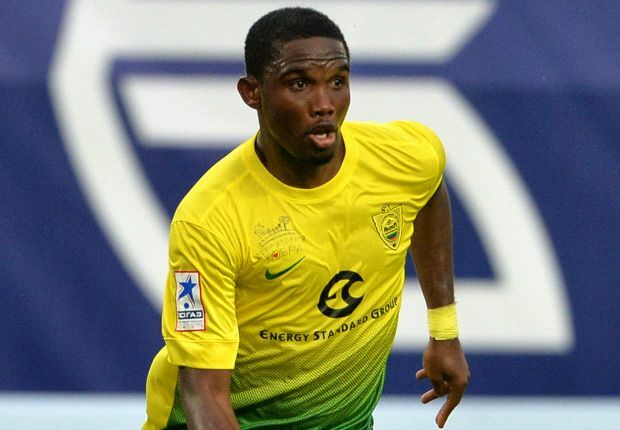 Eto’o who is 31 would also provide great scoring touch upfront as Jose Mourinho specially knows how to use him after winning a treble with the Cameroonian at Inter. Who do you think will be the Plan B and Plan C if Rooney’s bid fell. Please leave us your opinions below & thanks for reading. Follow me on Twitter @FahmiCFC & KTBFFH!!! So, we should have kept Drogba! !